Launched in 1996, the Ka surprised everyone with its unique appearance and immediate appeal. It carved itself a niche within the automotive market, resulting in a motoring icon that boasts charmingly recognisable appeal. 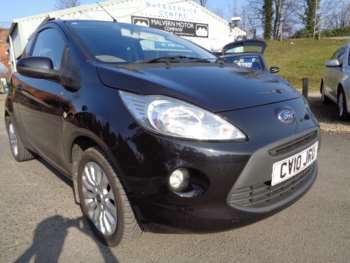 Ford has refined its appearance since then, resulting in the Third Generation Ford Ka in 2014. It may have moved on from its original appearance, but it still has its city car charms. The original models aren't fast, but they handle well. This makes them great for city driving. The second-generation model further refines this with the addition of a rear anti-roll bar, which stabilises the Ka during corners. As for the third generation, it boasts more space for both driver and passenger, and it's handling is further improved.